At first, the Find.Same.Images.OK will create the Image signatures of Images. And then compare if it necessary. Based on your personal search settings. Find Rotated Images, Flipped Images or Negative images. If you select more settings the Find.Same.Images.OK has more to do. In this case if you search for rotated images four comparisons per image. Flipped images search = two comparisons per image compare. Rotated images = four comparisons per image compare. Rotated images and Flipped images search = eight comparisons per image compare. Rotated images, Flipped images and Negative images search = 16 comparisons per image compare. The comparison speed is at the time on my I3 3,4 GHz 300.000 comparisons per second (single core / thread) at setting 90% similarity. I work on an algorithms to make it more faster and multi thread support. But nevertheless it is much faster if one would search for oneself, especially since one has a very dim mind after some time. Important! The program is optimized for photo pictures the minimum width and height is 128 pixel. It does not matter if it is the camera of Samsung Smartphone or Apples IPhon or is a simple plain digital camera which simply makes pictures and only pictures, if someone still uses that :-)! Info: Here are quite, according to my calculation values from 1,000,000 to 10 million per second achievable, when the algorithms are adjusted. (Image-1) Comparison of the Images! 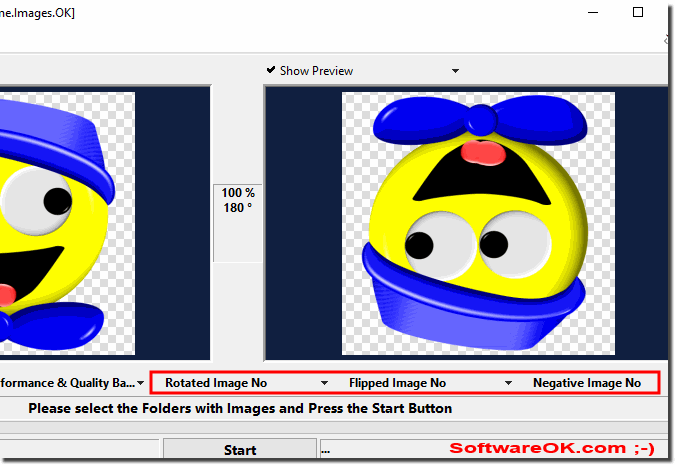 Find.Same.Images.OK - FAQ-4: How to Works the comparison of the Images (FindSameImagesOK)?